Will and Erica take over Elite Series lead! As the tradition continues, Sage Stomp XXVI took place outside of Kamloops on the May long weekend. The Gardens Creek ranch was again the host, just like in 2003 for the Canadian Championships and in 2007 for the Western Canadian Championships. The area offers fast orienteering in open forests and meadows. Lots of climb and a good amount of rock and cliffs. All three races were part of the Canada Cup Elite Series and a strong field was on the start line in M21E and W21E. The program started with the Sprint on Saturday at noon and the elite runners started late in a seeded Red Group. Spectator controls and race announcing created an exciting arena experience. Will Critchley, EOOC, with a smooth and controlled race took over the lead at the 4th control and never let go with a dominating performance. Graeme Rennie, GVOC's hope at JWOC in Poland, took second place, but was over a minute behind Will. The pre-race favorite Thomas Nipen, GVOC, struggled to find map contact and flow throughout the race and had to settle for 3rd place, another 28 seconds behind Graeme. On the Womens' side, Louise Oram decided to run M21E at Sage Stomp, which opened up W21E to some very close competition. Erica Lay, VICO, took advantage of the situation and won the sprint ahead of Marie-Cat Bruno and Abbigail May, both SAGE runners. The Middle distance followed after a few hours of rest and this time Thomas Nipen was not going to be denied. He made a mistake on the 1st control and again on the 2nd, but turned on the afterburner from this point on and eventually took over the lead at the 16th control, holding on to claim victory 13 seconds ahead of Mike Smith, ONB. Will Critchley finished 3rd, only 26 seconds behind Thomas in a close race. Katherine Scheck, YOA, clearly had the fastest legs in W21E, winning with over 2 minutes despite dropping about 1:30 on mistakes. Andrea Balakova, GVOC, and Marie-Cat Bruno were keeping similar pace throughout the course, with Andrea edging out Marie-Cat with a 1 second margin. The weather was great for the Long distance on Sunday morning with cool and damp conditions. Abbigail May kept a pace that no one could match. She took over the lead on the 2.6 km long leg to control 5 and extended her lead from there to win with a 5 minute margin. Erica Lay in a clear second place ahead of Andrea Balakova in 3rd. For the men, Thomas Nipen was forced to watch from the sidelines with a sore toe. Will Critchley started early and was the first runner to finish the course in a time of 83:35. The only runner to challenge Will was Mike Smith, who kept the same pace in the forest, but ended up just behind in 84:00. Brian May, SAGE, had a steady and strong run and finished 3rd, about 6 minutes behind Will and Mike. Links to all results, splits and RouteGadget can be found on the GVOC website, and the here are the current standings in the Canada Cup Elite Series. The growing depth of talent in Canadian Orienteering resulted in an extremely close competition for both the men & the women, and highlighting the contribution of these young athletes to the orienteering community across Canada. The selection committee found the women’s competition was too close to declare an outright winner and a tie was declared. Each winner will receive $1000 to assist with their training and racing expenses. Carol Ross is the current Canadian Champion in all three disciplines (Sprint, Middle and Long). She has represented Canada at the Junior World Orienteering Championships (JWOC) between 2005 and 2008, and has since graduated to the World Championships (WOC) in 2009 – 2010 as well as the World University Games 2010. Her excellent first-leg run at WOC helped Canada to 16th place result. Carol is a graduate student in Mathematics, currently living in France to prepare for WOC 2011. 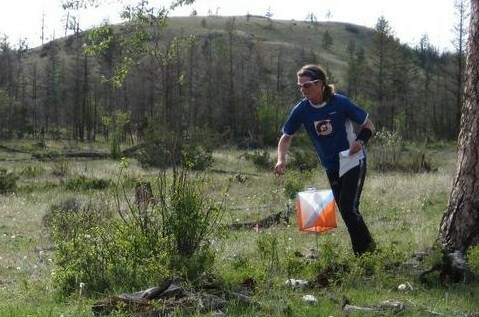 Carol’s contributions to the orienteering community are outstanding. These include being course planner at the 2010 Barebones middle distance WRE event, coaching at the Sass Peepre Junior Camps in 2008 & 2009, attending JWOC 2011 as a volunteer coach, and as organizer of the 2010 Silent Auction HPP fundraiser and a frequent contributor to the HPP blog. Racing at the elite level since the age of 14, Emily Kemp has quickly become one of North America’s best athletes. In 2010 she finished 13th at JWOC, Canada’s highest ever place. Attending university in France and training with the French elite team (known as “le Pole”), she will race not only at JWOC in Poland but also at her first of hopefully many World Championships later this year. Her enthusiasm, good nature, maturity, and dedication are an inspiration to us all – and her youth and generousness acts as a particular inspiration for young athletes across the country. At the young age of twenty-three Robbie Anderson quickly has made a name for himself in the top ranks of Canadian orienteering in by winning the 2010 National Championships in Sprint, placing second in the Middle, and fourth in the Long distance in his hometown of Ottawa. He built on these results with a 3rd place overall at the US Champs and second at the Golden Leaf Orienteering Festival (GLOF). 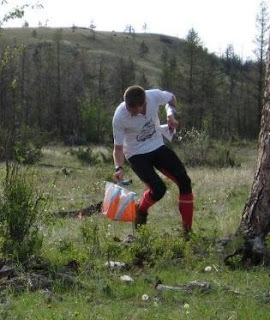 Robbie represented Canada at the World University Games and also an accomplished ski-orienteer, with the best results of the North American men at the 2011 World Ski-Orienteering Championships in Sweden. Robbie has organized a number of events and training sessions and is a mentor and role model for many of the younger runners in Ottawa’s strong youth program. Robbie recently graduated from Carlton University with High Distinction, and will be attending graduate school in Gothenburg, Sweden in the fall of 2011. The selection was made by a panel consisting of: Kitty Jones (Alberta), Hans Fransson (Ontario), and Magnus Johansson (BC). They were unanimous in expressing how difficult the choice was given the depth and quality of all the applications. The competition was extremely close, thanks to the wonderful combinations of talent, promise, and involvement in the community. Recruit new members – encourage young athletes from your club with great potential to strive to become part of the HPP. Provide training and competitions: organize local events so that athletes can learn and practice on maps as much as possible. Mentor young athletes. Offer encouragement: post your comments to the national team blog and to the athletes’ profile pages on the COF website. Donate time: contribute your time to work on COF projects that will impact orienteering across Canada. Donate funds: donations to the COF can be targeted to the HPP. All donations to the COF over $10 will get a charitable donation tax receipt. The COF is delighted with the performance of the entire HPP and would like to thank all of the athletes for their dedication, commitment, and involvement in the Canadian Orienteering community. The National Summer Training Centre in Whitehorse is underway. We have already had a couple of practices. From here on, the training starts in earnest with 4 organized sessions per week. Tori Owen from FWOC arrived a few days ago and joined local HPP athletes Jennifer MacKeigan, Kendra Murray, Kerstin Burnett and Lee Hawkings for today's session, so it is starting to feel like something bigger already. Looking forward to others arriving in the next few weeks. You can check out our sessions here.